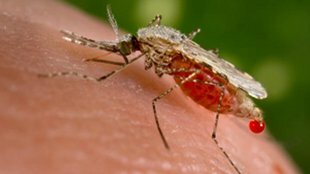 Malaria parasites transmitted via mosquitoes elicit a more effective immune response and cause less severe infection than those directly injected into red blood cells. Anopheles stephensiWIKIMEDIA, RSABBATINIMalaria-causing parasites transmitted to mice through mosquitoes are less virulent and induce a more protective immune response than parasites injected directly into the blood stream, according to a new study published today (May 29) in Nature. 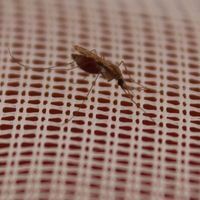 The researchers also identified a set of antigen-encoding genes whose expression is modified by mosquito transmission, suggesting that the parasite may accrue changes in the mosquito vector that in turn provoke a more effective immune response in its mammalian host. “This is an extraordinarily stimulating paper, and should be the start of quite a lot of new work,” said Andrew Read of Penn State University, who wrote an accompanying commentary for Nature but was not involved in the study. 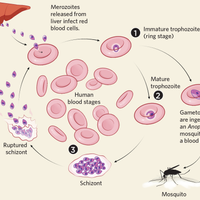 When malaria parasites are transmitted to their mammalian hosts via mosquitoes, the parasites head for the liver, where they replicate before re-entering the bloodstream and infecting red blood cells. Until now, largely for convenience, most studies of malaria in humans and animal models have focused on the blood stage of infection—by directly injecting parasites into red blood cells—and therefore largely ignored the liver and mosquito phases of the parasite lifecycle. 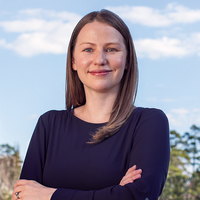 So Langhorne, along with postdoc Philip Spence and colleagues, set up a mouse model to compare infections caused by injecting the rodent-infecting malaria parasite Plasmodium chabaudi directly into the bloodstream with infections initiated by mosquito bite. The team found that parasites transmitted via mosquitoes did not replicate as well and generated lower-grade infection that lasted longer but did not cause severe disease. 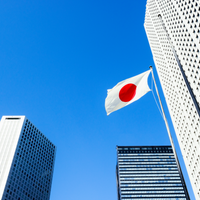 The team also demonstrated that vector-transmitted parasites induced a different immune response, characterized by better inhibition of replication and the release of fewer inflammatory molecules. To understand what’s behind these variations in virulence and immune response, the researchers looked at the gene expression in the parasites. They discovered that mosquito transmission strongly regulates a family of genes encoding antigens that trigger an immune response. This suggests that by altering antigen expression, mosquito transmission may change the interplay between the parasite and the immune system. However, although it seems that the environment experienced by the parasite during mosquito transmission is responsible, it remains to be seen where and when the changes take place—inside the mosquito itself, in the skin soon after injection, or during migration to the liver. And Langhorne points out that it is not yet clear whether this attenuated phenotype is actually caused by these modified expression profiles, or merely correlated with them. Read is equally excited by what the findings mean for how natural selection might work on the expression of antigen-encoding genes to produce parasites that are more or less virulent depending on the epidemiological situation. P.J. Spence et al., “Vector transmission regulates immune control of plasmodium virulence,” Nature, doi:10.1038/nature12231, 2013.